Lincoln Homeless Coalition to honor advocates, businesses, organizations and volunteers for a year of tremendous service to the homeless and near homeless of our community. The community is welcome to attend the 15th Annual Lincoln Homeless Coalition Recognition Event Brunch. 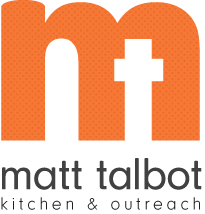 It will be held at Matt Talbot Kitchen & Outreach located at 2121 N. 27th on Friday November 21, 2014 from 9:30-11:00 AM. Scott Young from the Lincoln Food Bank will emcee and awards will be given to recognize the extraordinary efforts on behalf of the homeless and near homeless. Lincoln’s Mayor Chris Beutler will be in attendance as well to thank local advocates for their service to the community. Guest speaker will be Rob Bauer, Director of Day Services at Siena Francis House in Omaha. In addition, all those nominated will be recognized with a certificate. They are: Andra Bartels, Pablo Cervantes, Concordia College Students, Meg Damme, Teresa Harms, Jan Hauser, Lincoln Berean Church Car Care Ministry, Jennifer Lyons, Nebraska Global, Denise Packard, Bryan Seck, James Sieben, Southwood Lutheran Church, and Lisa Turner. Mission: The mission of this Coalition is to heighten awareness and develop a community-wide commitment to the needs and issues surrounding individuals and families who are near or experiencing homelessness. Purpose and Objectives: The purpose and objectives of this Coalition are: (1) to gather information in order to identify and fill the gaps in services and community needs; (2) to protect and improve the lives and safety of the homeless and near homeless; (3) to actively engage homeless and other stakeholders in developing solutions to achieving self-sufficiency; (4) to communicate with funding entities, other organizations and the public at large to promote the general welfare of the homeless and to increase self-sufficiency; and (5) to ensure full development of a continuum of care with the shelter, housing and programs necessary to meet the needs of all homeless people and efficiently and effectively move them to self-sufficient life.